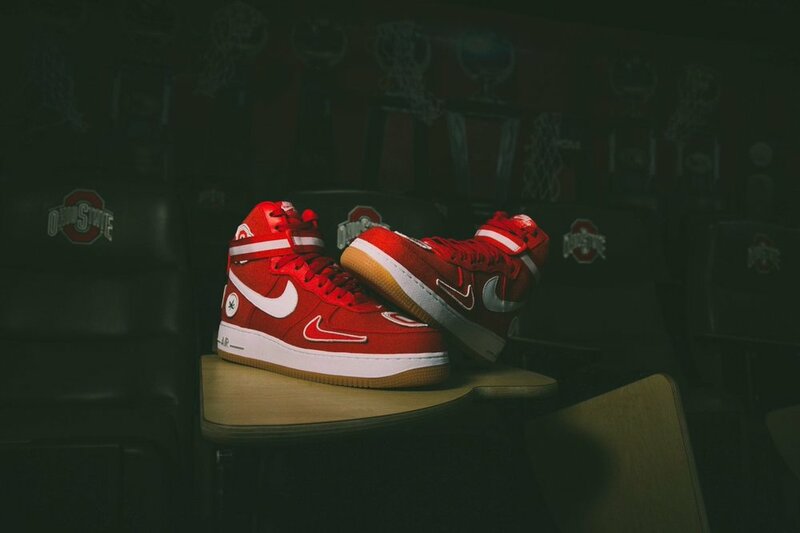 Ohio State is heading into March Madness in style as the team has received custom Air Force 1 that come equipped with Ohio State-themed velcro patches. The patches range from the Ohio State logos to extra Nike swooshes and even some Buckeyes. We will be on the look out as other Nike school such as Duke, Villanova, Kentucky, Oregon, and UCONN are set to receive pairs as well.